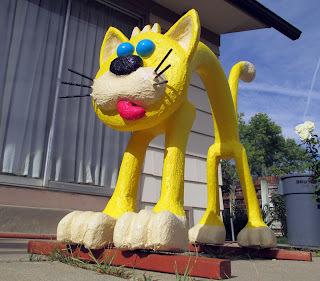 The ferocious cat was my first attempt using Styrofoam. 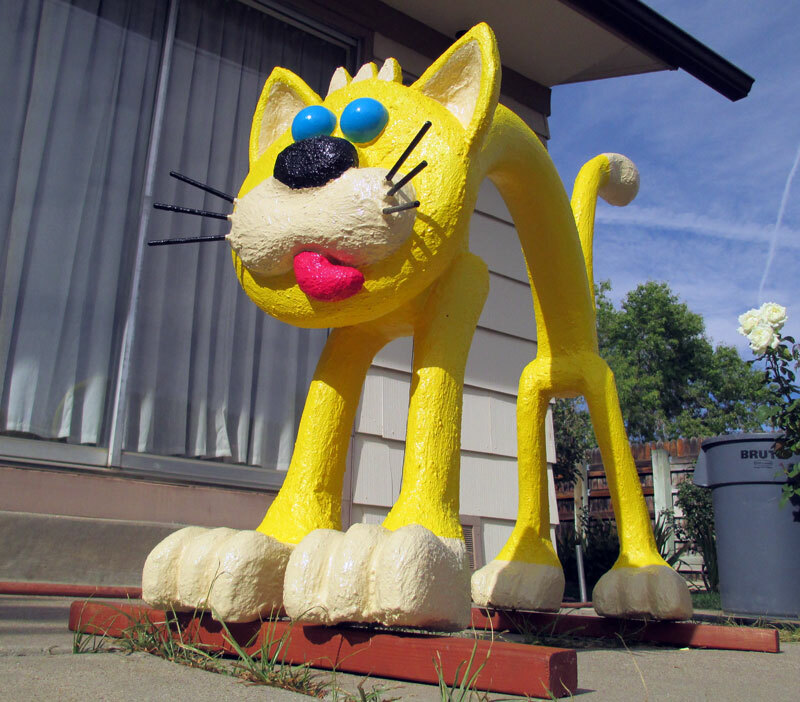 The material is actually Owens Corning extruded polystyrene foam insulation. The four by eight sheet of insulation was 2 inches thick. 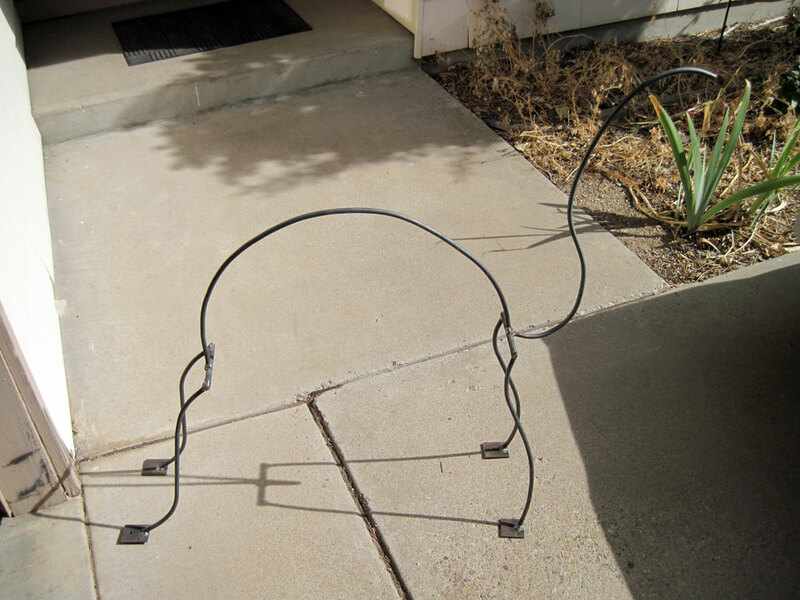 To provide additional support for the legs and tail, I embed a steel rods within the Styrofoam. 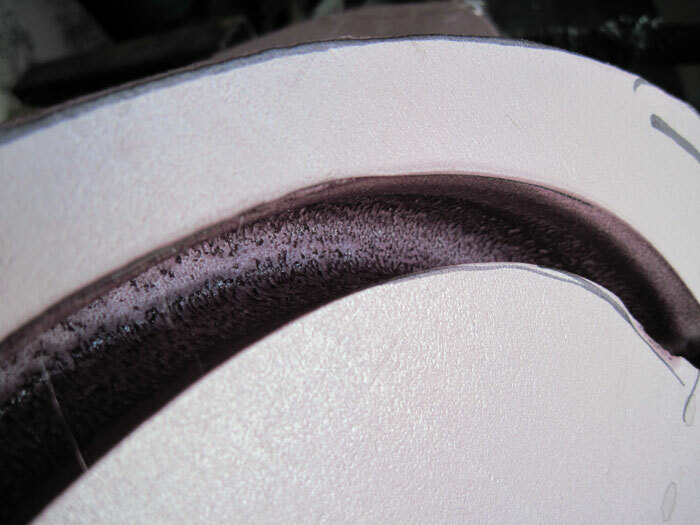 The steel rods are 3/8” diameter and at the cat feet are 1/8” steel plates. 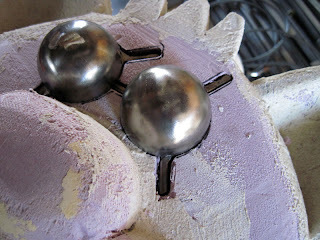 At the steel plates, I welded nuts for 3/8” diameter bolts. 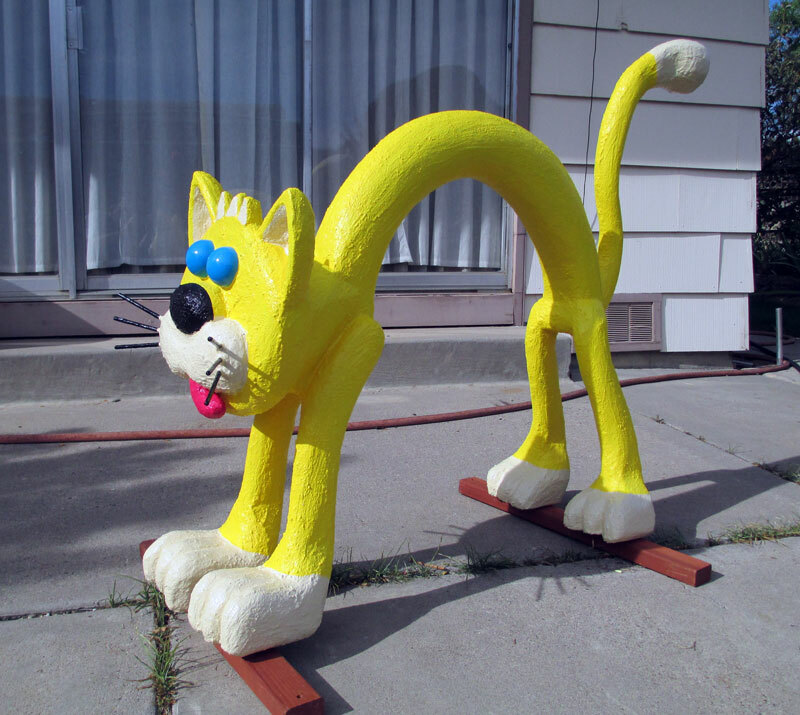 The bolts were used to bolt a wood boards to the cat feet to prevent the cat from blowing over. The steel rods were embedded into the Styrofoam. 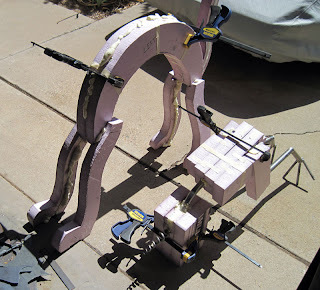 I was able to melt the Styrofoam by heating the steel rods. 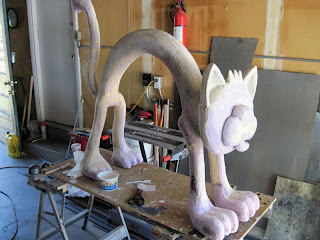 To secure the steel rods within the Styrofoam, I used spray insulation foam. Clamps were used to hold the sheets of Styrofoam together while the glue dried. 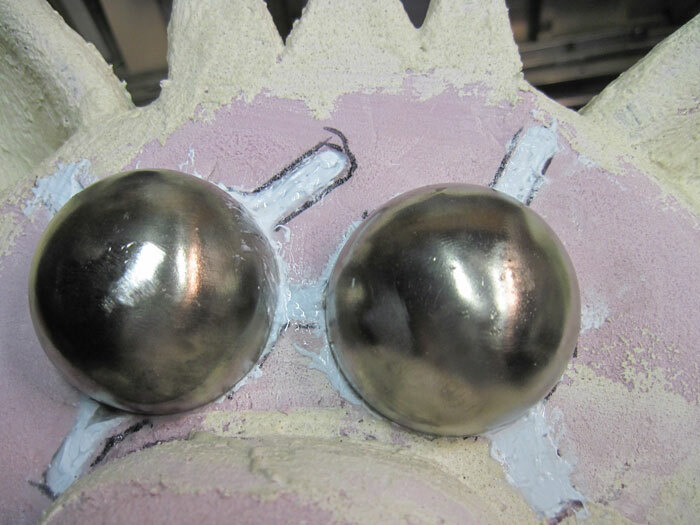 The eyes are steel half spheres. I welded steel rods to the eyes which were embedded into the Styrofoam by heating the steel. 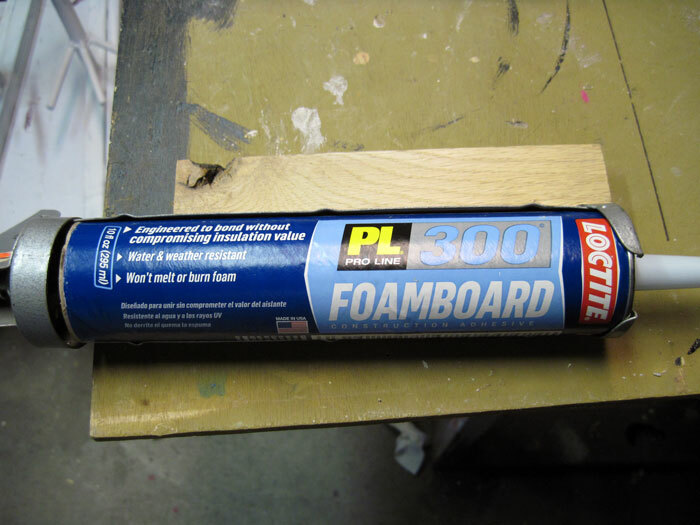 I glued the eyes using Loctite Foamboard Adhesive. 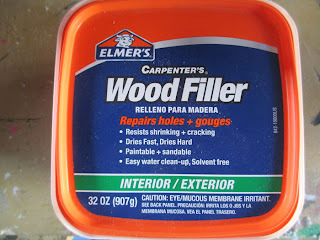 To smooth out the rough sections, I used wood filler. 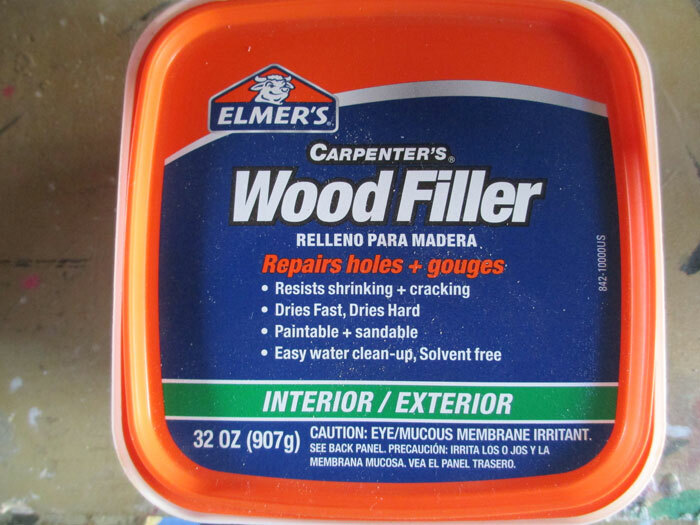 The wood filler is a non solvent type of wood filler. 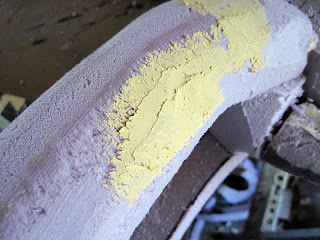 The wood filler was easy to smooth out with the Styrofoam using sandpaper. But it turned out to be a waste of time since the cement coating covered the imperfection without using the wood filler. 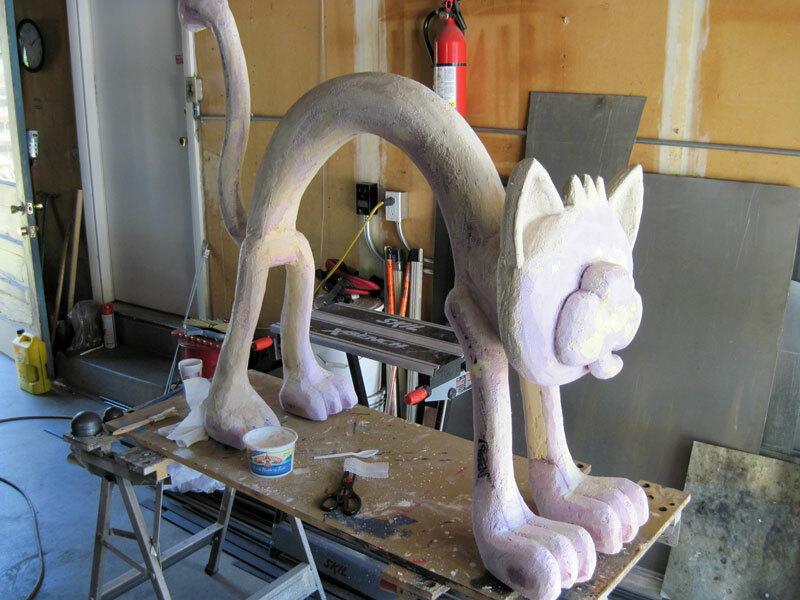 I original started coating the cat using Hot Wire Foam Factory All Purpose Foam Coat. 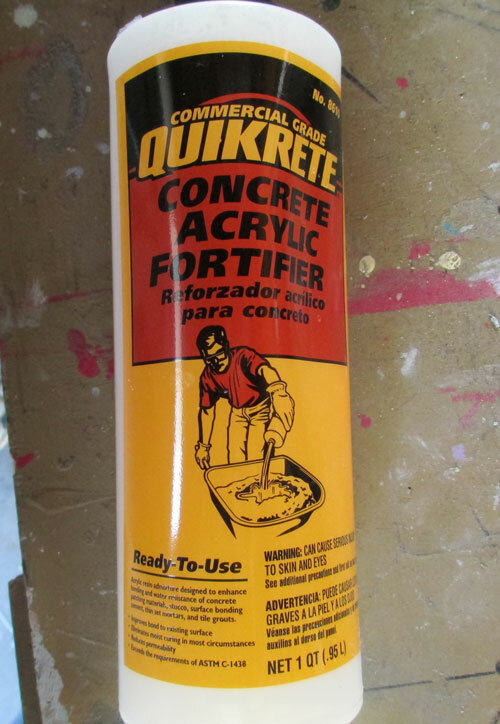 When I ran out of material, I switch to cement mixture used for setting floor tile. 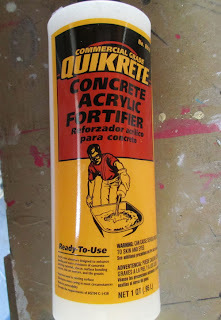 I also added Quikrete concrete acrylic fortifier to the mixture. So far it appears to be working okay. I also tried using tile grout both sanded and unsanded, but it did not work.